After a mid-air explosion killed one passenger in a Southwest flight, aviation officials are now saying more inspections should have happened, and should happen from now on. NBC10's Steven Fisher explains. The Federal Aviation Administration on Friday ordered ultrasound inspections of hundreds of jet engines like the one that blew apart at 32,000 feet in a deadly accident aboard a Southwest Airlines plane. The agency said the order affects 352 engines on new-generation Boeing 737s, a twin-engine jet that is a workhorse of the aviation industry, used by airlines around the world. The National Transportation Safety Board believes one of the engine fan blades snapped on the Southwest jet Tuesday, hurling debris that broke a window and led to the death of a passenger who was sucked partway out of the 737. 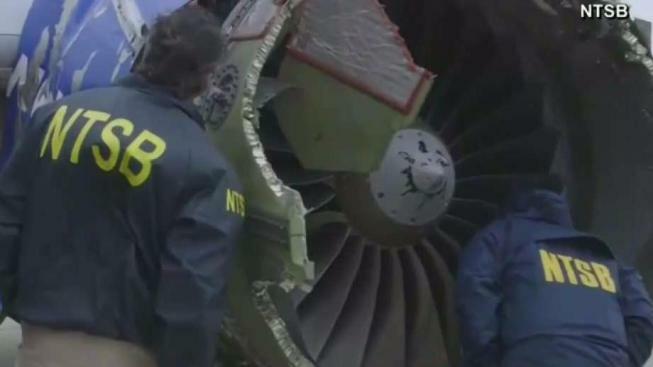 NTSB investigators said the fan blade was showing signs of metal fatigue — cracks from repeated use that are too small to be seen by the naked eye. The FAA's action reflected concerns that more planes could have faulty blades. A man aboard a Southwest flight that made an emergency landing in Philadelphia filmed as passengers breathing through oxygen masks braced for impact. At issue are engines made by CFM International, a joint venture between General Electric Co. and France's Safran SA. Under the FAA order, all CFM 56-7B engines that have gone through at least 30,000 takeoffs or landings must be inspected within 20 days. It is not clear how many cycles the engine in Tuesday's accident had gone through and whether it would have been covered by the FAA directive. Last June, CFM issued a service bulletin to its customers recommending inspections of some of its engines. Then, on Friday, the manufacturer went further than the FAA, recommending inspections by the end of August of all engines that have gone through at least 20,000 flights. The FAA said it will consider matching CFM's recommendation. "As we learn of additional information from this most recent incident, we will consider further mandatory action as appropriate," the federal agency said in a statement. Altogether, CFM 56-7B engines are on about 1,800 of the 737s in service in the U.S. and about 6,400 worldwide. Jim Hall, NTSB chairman during the Clinton administration, said all CFM engines on 737s should be inspected. He also said the FAA did not move quickly enough to require inspections after a different Southwest 737 was forced to make an emergency landing in 2016 in Florida because of an engine failure caused by metal fatigue. 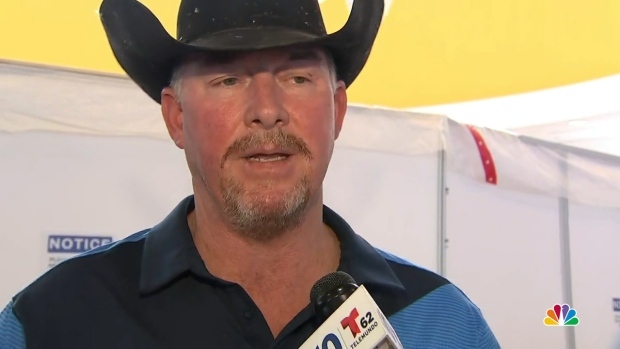 Tim McGinty, a passenger on Southwest Flight 1380, describes trying to save a woman who was partially sucked through a broken window after the plane’s engine blew in midair. "I've been concerned about the FAA from when I was chairman in terms of how quickly they move sometimes on safety matters," Hall said. "That's the way the system works, and I respect that." The FAA had proposed inspections last August and was going through the complicated rule-making process to get an order in place. During a public comment period that expired in October, Southwest and several other airlines raised objections, saying among other things they needed more time to carry out the work. Jennifer Riordan, a 43-year-old bank executive from Albuquerque, New Mexico, died in Tuesday's accident. The jet, which was headed from New York to Dallas with 149 people aboard, made an emergency landing in Philadelphia. Southwest acknowledged the FAA's directive in a tweeted statement Friday and said that the company's existing maintenance program "meets or exceeds all the requirements specified in the Airworthiness Directive."